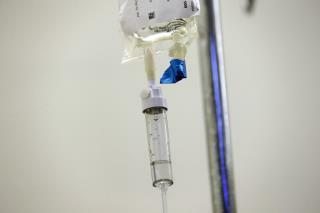 (Newser) – The US cancer death rate has hit a milestone: It's been falling for at least 25 years, according to a new report. Lower smoking rates are translating into fewer deaths, and advances in early detection and treatment also are helping, per the AP. But it's not all good news. Obesity-related cancer deaths are rising, and prostate cancer deaths are no longer dropping, said Rebecca Siegel, lead author of the American Cancer Society report published Tuesday. Cancer also remains the nation's No. 2 killer. The society predicts there will be more than 1.7 million new cancer cases, and more than 600,000 cancer deaths, in the US this year. The nation's cancer death rate was increasing until the early 1990s. It has been dropping since, falling 27% between 1991 and 2016, the Cancer Society reported. What about the people who are a cancer on society? More brainwashing lie for us all that smoking causes lung cancer. I've seen the statistical data. It doesn't show a damn thing!